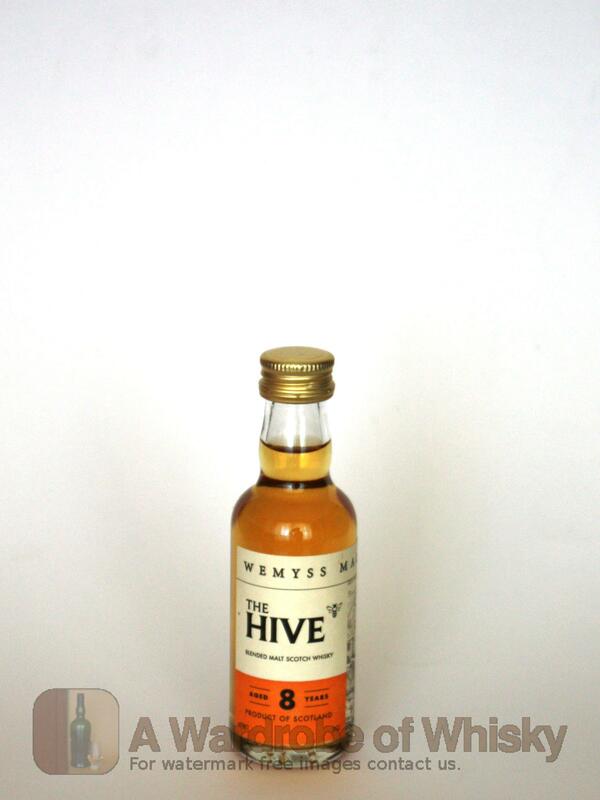 A Speyside oriented 8 year old blended malt whisky from Wemyss, The Hive is made with a good chunk of sherry matured whisky to give a fruity and spicy dram. Nose (89): more than average. honey, vanilla, citrus, floral, spices. Taste (89): smooth, oily. honey, spices, citrus, wood, tobacco. Finish (88): average. honey, spices, floral, tobacco. These bottles have been chosen over others because their nose, taste and finish are more similar to Wemyss The Hive 8 Year Old Blended Malt Scotch Whisky than the rest. Go to Whisky-o-matic page to fine tuning other settings.